I grew up eating Sausage Rolls before holiday meals, dinner parties, any gathering…..there were always Sausage Rolls! 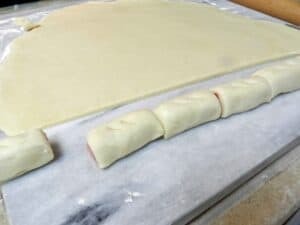 These Turkey Sausage Rolls are a combination of the sausage rolls that I grew up with, and what is available in Iowa….. The one thing that you will find in Iowa this week is SNOW!!! 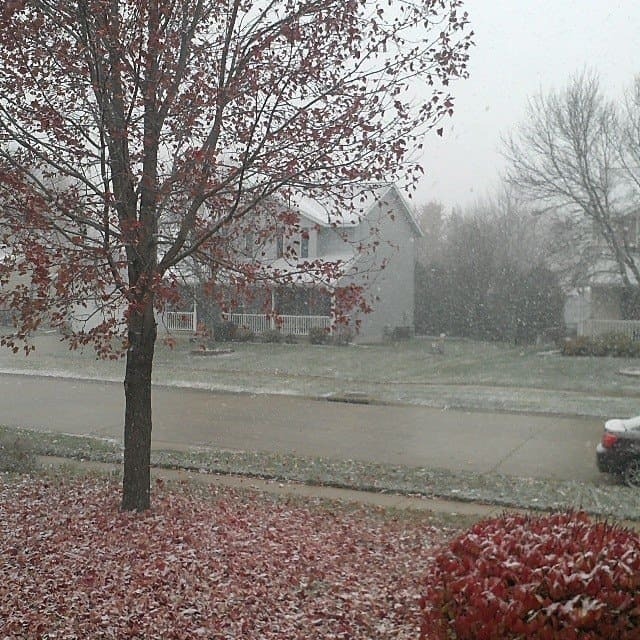 Yes, you read that correctly, we had snow today….. Most of it has melted, so I have my fingers crossed that this is the last of it for a while…..I have food that needs to be photographed! 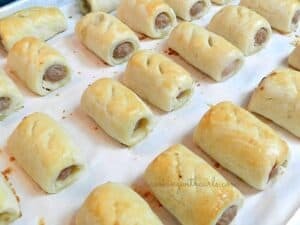 Okay sorry, back to the Turkey Sausage Rolls. As you can imagine, finding turkey sausage in bulk is not easy either…so these are made with Jennie O turkey sausage links. So simple!!! Seriously, you just roll out your pie crust, lay down your sausage links, roll, trim, cut, egg wash, and bake! Bam…..awesome appetizers! I took these babies to the Halloween party, and they were a hit! 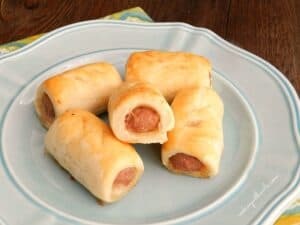 I usually cut each crust wrapped link in half, but you could cut them smaller and make one-bite appetizers. I do not use a pie crust mix, I make my own pie crust from scratch. The choice is yours, they are delicious either way! Flaky pie crust wrapped around turkey sausage and baked golden brown. 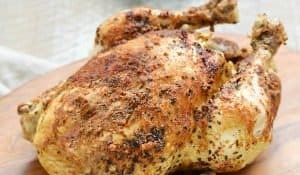 Preheat oven to 425 degrees. 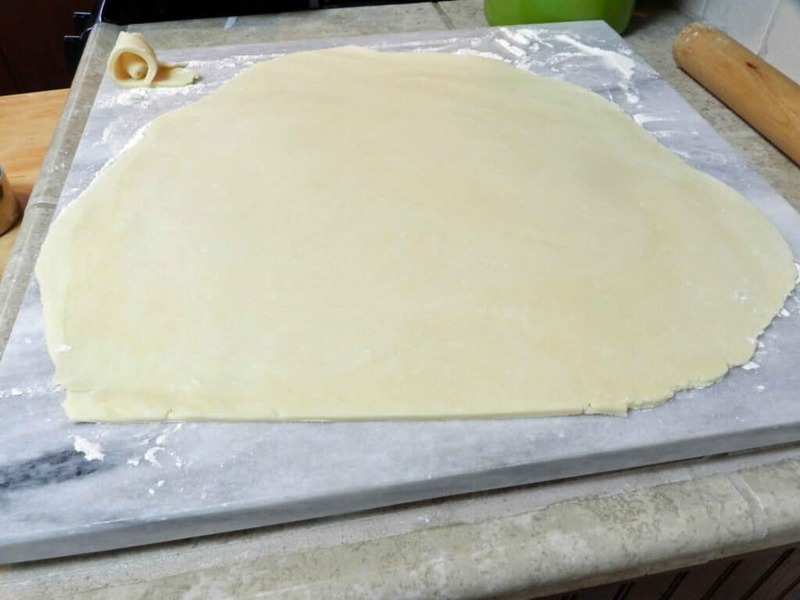 Roll out pie crust on a floured work surface until it is about a 1/4-inch thick. Trim edge with a knife to form a straight edge. 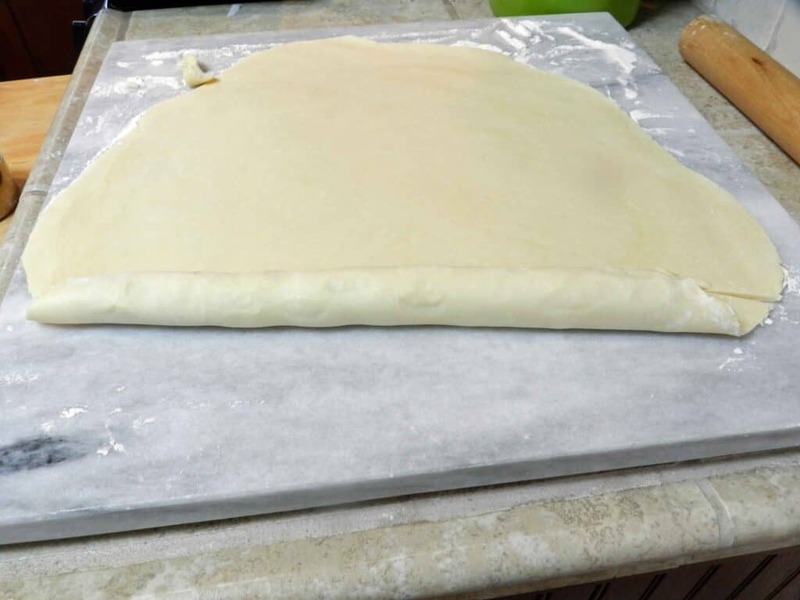 Place turkey sausage in a row along the cut edge of the pie crust. 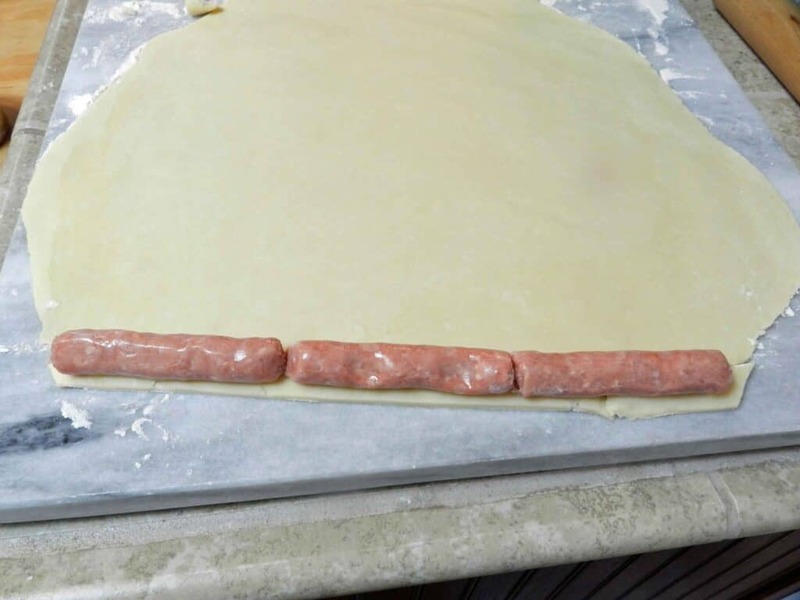 Roll crust around turkey sausage to completely cover. Trim with a knife to form a new straight edge. 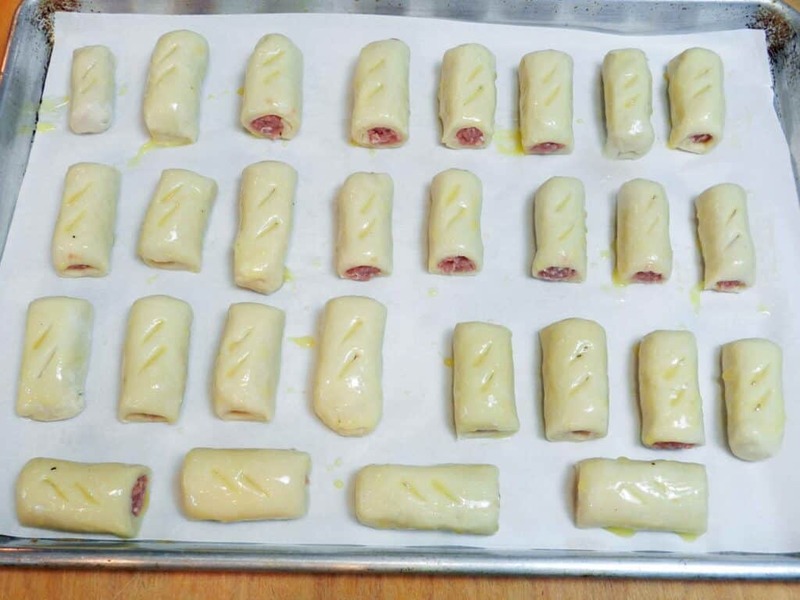 Continue rolling sausage rolls and placing them on a parchment covered baking sheet. 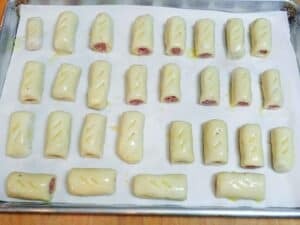 Cut sausage rolls into desired size (I cut each link in half). 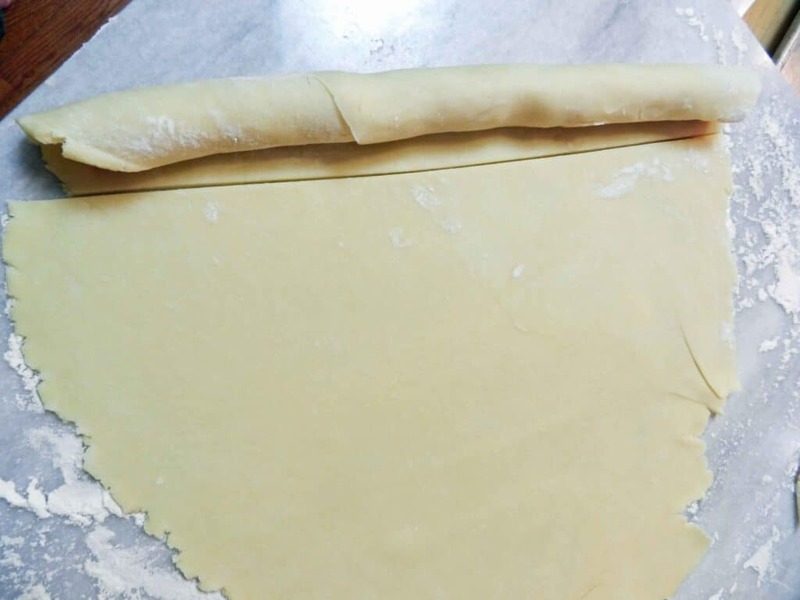 Cut slits into the top of the pastry to allow steam to escape. 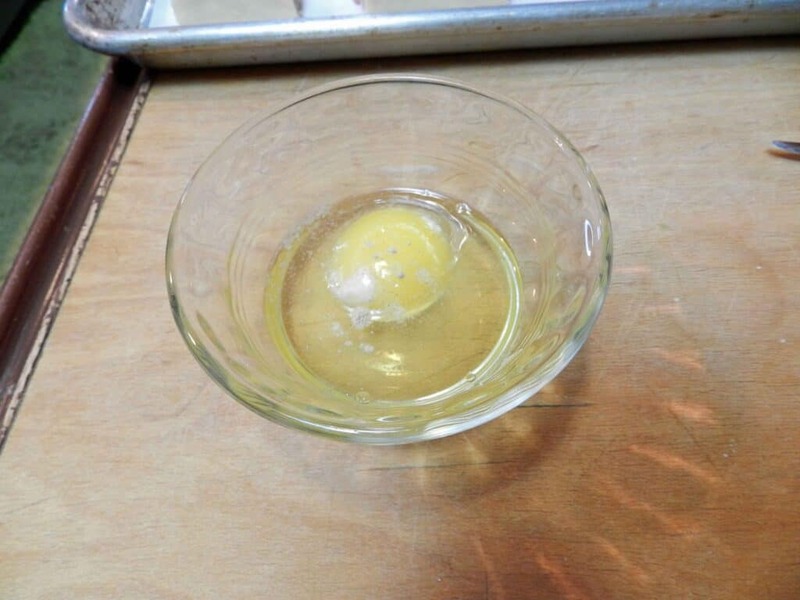 Beat egg with salt and white pepper. 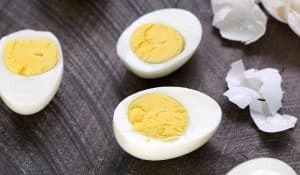 Brush tops with beaten egg mixed with salt and white pepper. It is snowing here (CT) this morning as well! 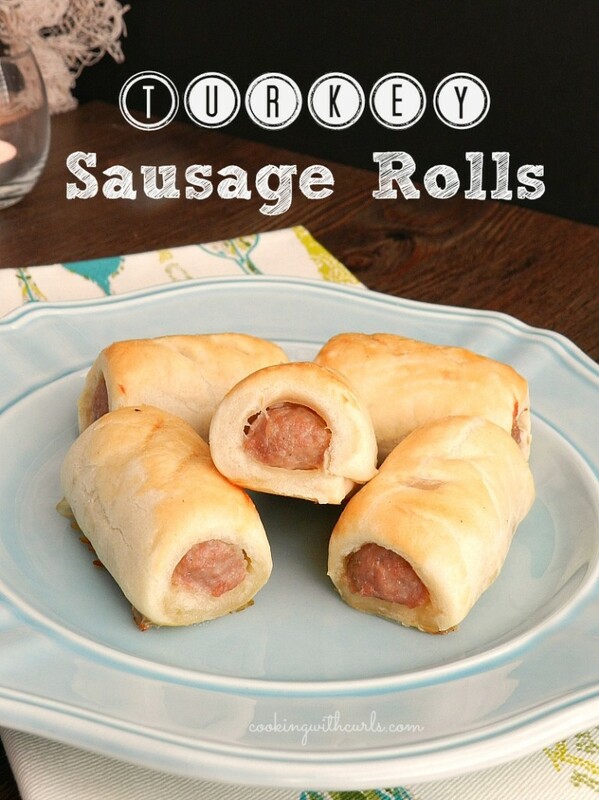 I can see that these would be a huge hit at a party, and they are so easy. Do you serve with any special sauce? Lisa, these look delicious! I’m glad to hear that it stopped snowing! The temperature has really dropped here, too…had a few flakes yesterday and hopefully that is it for now! 🙂 Thanks for sharing and pinning! Have a wonderful Wednesday! Well, hot diggity-dang! 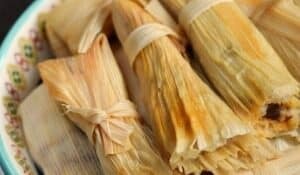 I might even be able to handle those!!! And it snowed here too!